I heard recently that one of my local(-ish!) Wetherspoons – the Moon on the Square, in Feltham – is having a London Breweries Beer Festival from Monday 16th February to Friday 20th. I've now learnt that this is actually a regional thing and that all 132 London-area 'Spoons are taking part. Unlike last year though, the festival's not just going to be cask ale – there will be keg too. 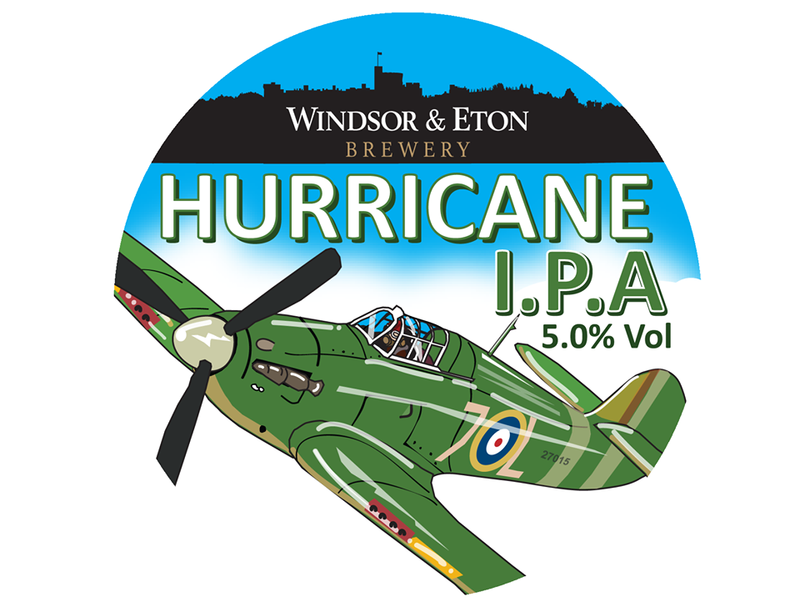 Windsor & Eton's has brewed Hurricane IPA (5%) specially for the festival, it'll be in all 132 pubs according to W&E's Facebook page. Here will be others too, for example the Kings Tun will also have Twickenham's dry-hopped Tusk keg IPA (4.7%) on tap. I have to say I've been hugely impressed by the range and quality of the beer in recent Wetherspoons real ale festivals. I know some people have a problem with these pubs, and it's true that they are rarely as comfy and appealing as a cosy local, but they do a great job in providing a good range of well-kept cask ales and now a variety of interesting bottle and keg beers too, all at sensible prices. I know too that there are various rumours spread about how they keep the prices down – all of which are false, as far as I can discover. Brewers have told me for instance that yes, Wetherspoons expects big discounts, but no more so than any other pub company. It also gave staff an above-inflation pay rise last year. What's your take on it – do you drink in 'Spoons, and if not, why not?